Property Maintenance and Commercial Landscaping | Tamarco Contracting LTD.
Bottom to Top property maintenance means we look after everything that’s important to you. From your lawn to your rooftop, we have experts to ensure your facility is performance ready. We maintain commercial and industrial properties year round. 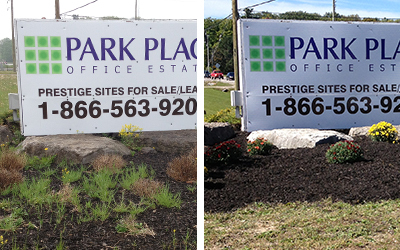 Whether you need weeds picked, or your parking lot lines painted, we have the right person for the job. Contact us to experience expert care. Trust the experts to take care of your property!